The answer, he emphatically argues, is no. 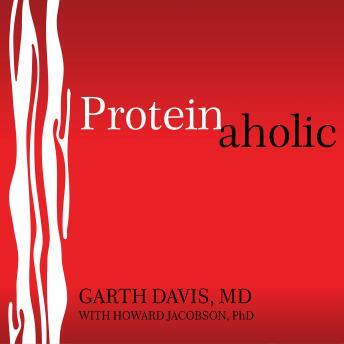 Too much protein is actually making us sick, fat, and tired, according to Dr. Davis. If you are getting adequate calories in your diet, there is no such thing as protein deficiency. The healthiest countries in the world eat far less protein than we do and yet we have an entire nation getting sicker by the day. As a surgeon, Dr. Davis was frustrated by the ever-increasing number of sick and overweight patients, but it wasn't until his own health scare that he realized he could do something about it. Combining cutting-edge research with his hands-on patient experience, this groundbreaking book reveals the truth about the dangers of protein and shares a proven approach to weight loss, health, and longevity.